Coaches are here to serve you and not please you and that may sound provocative but is completely caring and about service and that's the way it needs to be for change to happen. Your growth depends on being able to honestly drill down into your story and situation skillfully. Yes it is uncomfortable having to go into the nuts and bolts of your life but more often than not that is where the gold really is for you in total clarity and honesty with a professional stranger. The closest people in our lives are not objective enough to help us as they are far too close to your story and form part of it. They can't tell you what you need to hear because they have a relationship with you and also don't have the skills to understand the structure of your challenges to be able to help. A skilled coach will call out your greatness, your problem-solving abilities, your resourcefulness and get you to dig deep into your beliefs and habits for meaning. More often than not we keep going with behaviours, habits and routines that need to be discussed with by someone that can see what's going on from a higher level who can see the process and content from a level above. Most people can't see the woods from the trees because they are so invested in their story that it is just too blurred and that's where a coach adds professional value. A skilful caring coach will insist on getting into clarity and meaning of what's happening for you and at times this is very uncomfortable. Having objectivity and not being involved in your life means that a coach should ask questions that encourage you to flesh out deeper meaning, challenge what you are doing and often shock you with their questions or the answers you find. Being asked skilful interesting questions can make you uncomfortable and stretch your understanding and that's where the growth is. Once we are awoken by seeing how we do things, what is there and really understanding what we want in a positive sense then a whole new map of understanding or roadmap can emerge for you and by you. This is the beauty of being served and not pleased because this is what friends do and coaches don't! Your direction, value and beliefs are the batteries for your success and can't be installed by a coach. Coaching is an intellectual dance where the coach sometimes leads but the content and new direction is all pulled from within you by asking interesting questions that serve you. 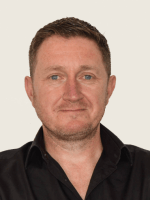 Mark is a leading executive and life coach and has studied and uses meta coaching, NLP, mindfulness with great effect for many years to help people create clarity in their lives in many areas.